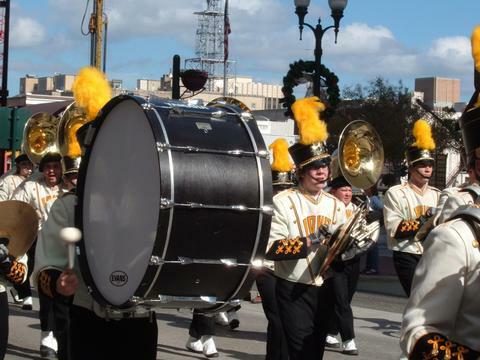 One of the many features of the Orlando Citrus Parade, has to be the Marching bands that comes from the High Schools and College or Football marching bands. 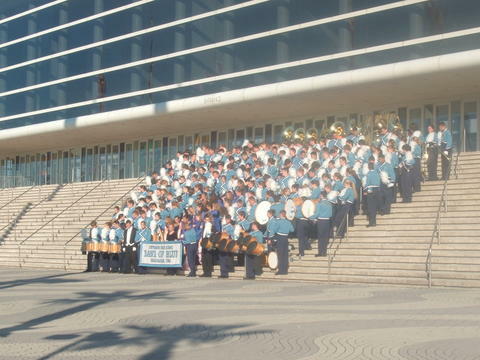 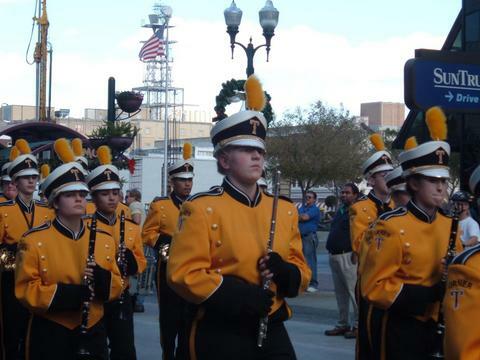 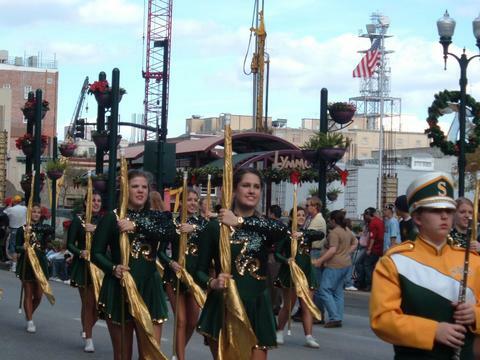 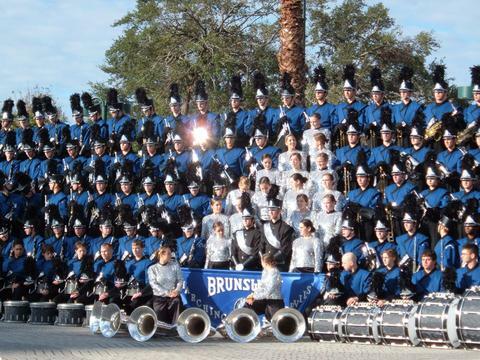 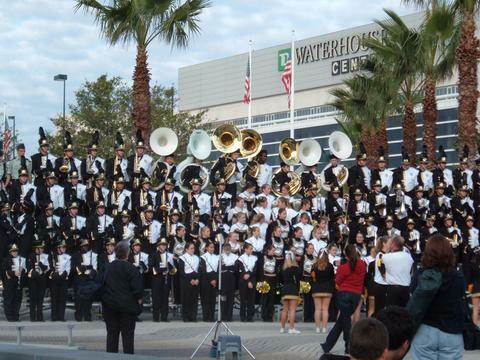 Since the first parade in 1980, the attention grabber was mostly the High School bands that came to perform for the thousands of guest visiting the Downtown Orlando area. 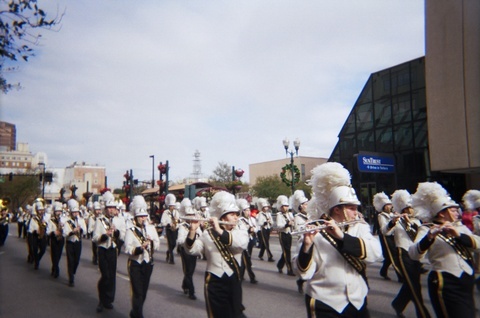 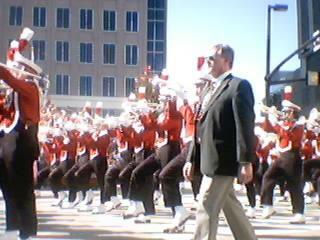 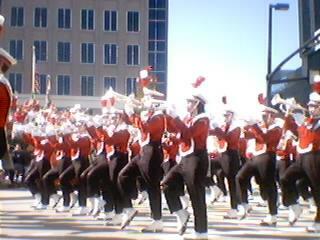 Of course, no parade would be complete without marching bands! 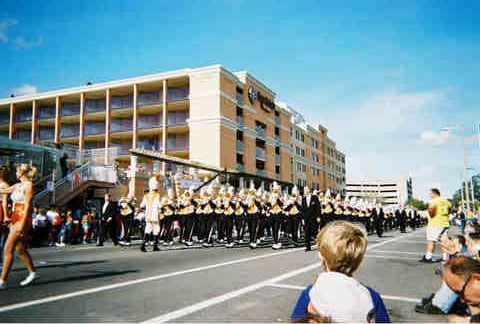 So what I have in this page, is a collection of several marching bands from both High Schools and College bands, performing at the parade. 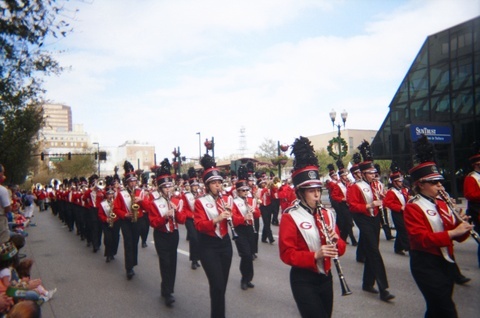 Some of the pictures may not have the information on the High School Marching band, so please, if you know who are the bands playing, where the head reads (No information available), please let me know. 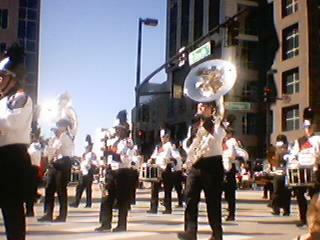 The e-mail is calfonso3@cfl.rr.com You need to copy and paste the e-mail. 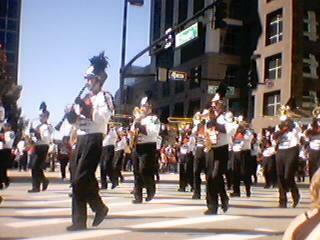 This is to avoid automatic spam. 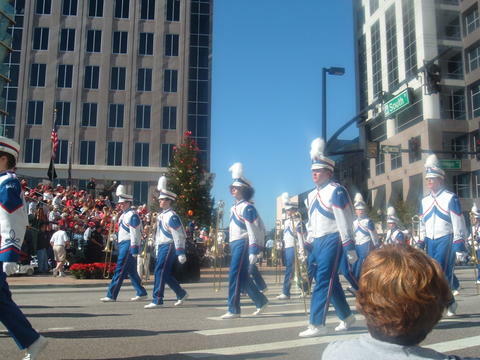 The Londonderry High School Lancers from New Hampshire. 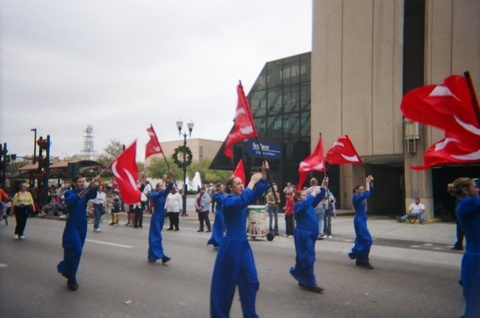 The performance was made in 2001. 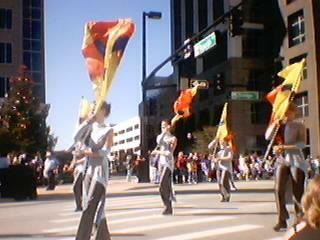 You can see more pictures and video of this performance here. 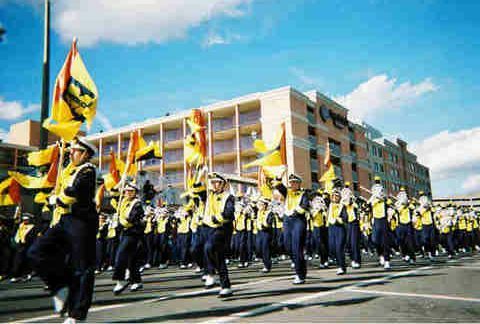 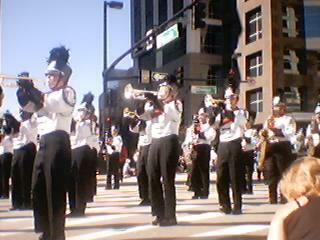 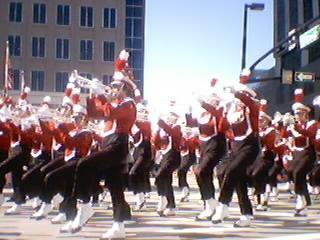 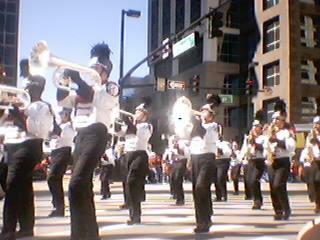 The Marching Band from Brunswick High School, OH, in 2004. 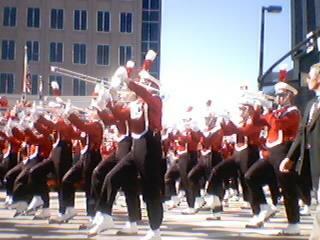 These Marching Bands still needs to be identified! 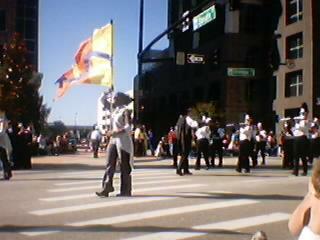 This site is not related to Florida Citrus Sports (FCS SPORTS), The Orlando Citrus Parade organizers. 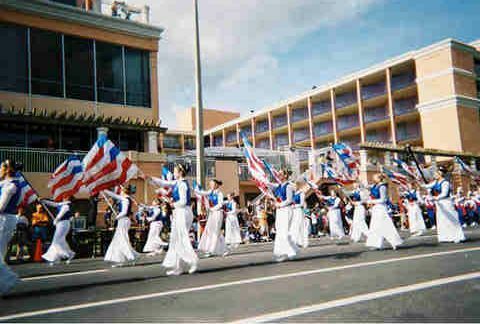 Images on this site are free to use, provided that you will credit Carol Alfonso as the author of the materials. 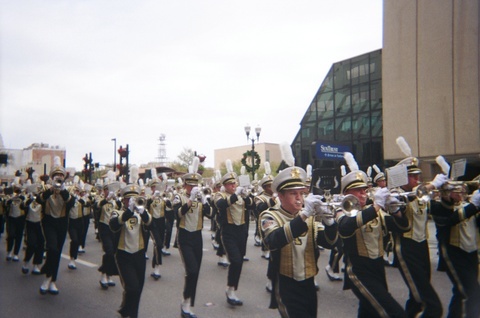 PLEASE, if you use any images on your site, please link them back to this site. 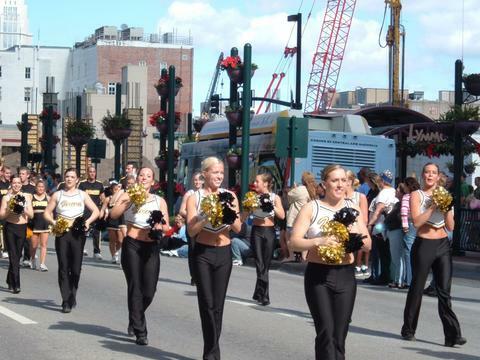 No image from Florida Citrus Sports (FCS SPORTS) has been used on this site.